Why do nurses use traditional oral storytelling with patients in a forensic hospital setting? The therapeutic relationship between nurses and patients in a forensic hospital setting has been discussed in the literature extensively in an attempt to articulate what it is (Donald et al 2011). However there is little on how to develop and maintain the therapeutic relationship in a forensic hospital setting (Dziopa, Ahern 2009). Traditional oral storytelling has been used in independent forensic hospitals in England and Wales since 2008 (Wilson 2010), with anecdotal reports that patients have found it beneficial. 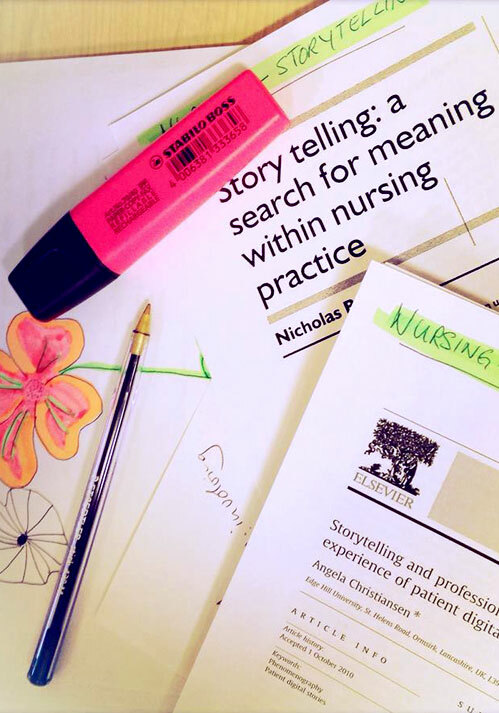 The research dissertation study sets out to discover why nurses use traditional oral storytelling with patients in a forensic hospital. A qualitative descriptive research method was applied to this area of study. This is an area of study that has no empirical research, as the literature review attests. The findings were presented in a narrative style with verbatim quotes from the participants to demonstrate what the lived experience is of clinicians who use storytelling with patients in a forensic hospital setting are. Due to ethical constraint patients could not be included in this study. However, new knowledge has been created in this study, which has practical implications for practice in forensic settings and has opened up a new field for further research. …. [After] I had told him a story the patient had gone from, like, throwing doors off and trying to assault staff, to just walking out of the obs lounge all nice and relaxed, and they didn’t need to seclude him….Storytelling became a real alternative to seclusion and PRN and stuff for him…. …[This] isn’t about bringing out another tick box, it’s about looking outside the box at true innovation; this is about taking something on that you can develop and change…. ….It’s given me the ability to see outside the box…..Storytelling has made me a lot softer, it’s helped me engage….finding different ways to engage with the patients.….it has improved my practice dramatically.…..I think it’s been phenomenal….